Written by Namangalam Madhavan Namboodiri, it tells the story of Pingala, a courtesan of Mithila, who transcends her worldly consciousness to a spiritual realm. 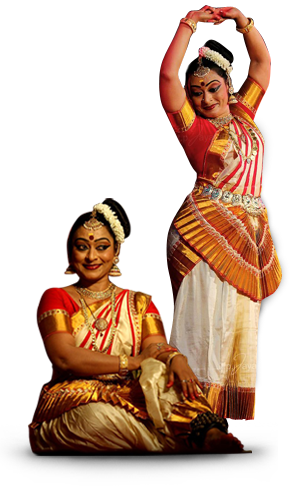 The performance starts with a beautiful Pingala adorning herself like any other day and waiting for her wealthy clients, extremely confident of her envying power to attract men. That night no one turns up. Her haughtiness turns to anxiety and despair. She doubts whether her beauty is fading away. Then again, she reassures herself that she is still so attractive; when she passes by the street, people throng to get a glimpse of her through the fluttering curtain of the palanquin. When she dances, every drop of sweat earns her wealth. She is confidant that some one will come to her, no matter how late it is. Then the night passes by and a few more nights too pass by but no one turns up. Out of introspection, she realises that, she had not shown gratitude to any man who came to her. She ignored every one after extracting his wealth. A thoughtful Pingala awakens from the worldly life realising that external beauty is ephemeral. In the darkest moment of her grief, Pingala hears an inner voice emerging within her – the voice chanting the divine epithet of Lord Sri Rama. She pleads to Rama to save her from the pangs like the way he liberated Ahalya and Sabari from curse. She becomes an ardent devotee of Rama and commences on her spiritual journey. Finally, she sees the aura of Rama and surrenders herself to his feet.